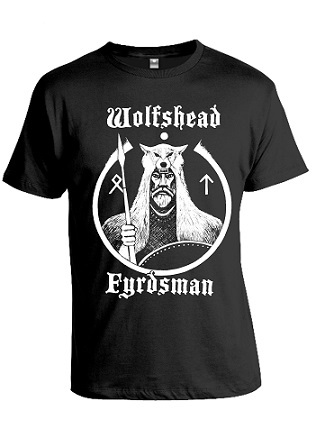 A suitable gift for the Wolfshead Fyrdsman. The T shirt for warrior-class angelcynn! Beautifully screen-printed on a good quality Fruit Of The Loom black cotton shirt.